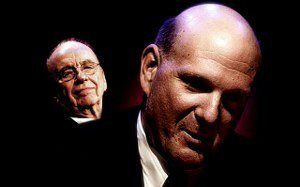 News Corp. is owner of the Wall Street Journal and many other newspapers. Microsoft has also approached other “big online publishers” with similar deals. Microsoft’s interest is being interpreted as a direct assault on Google because it puts pressure on the search engine to start paying for content. Bing accounted for 9.9 per cent of searches in the US in October, up from 8.4 per cent at its launch, according to ComScore. Now this will be a story to watch!